This rockin' compilation features tracks from all the hottest DJs and MCs of 2005/2006, including GRITS, 4th Avenue Jones, KJ-52, LA Symphony, Mars Ill, and stacks more! Also includes a DVD with the most popular Hip-hop videos of the year. 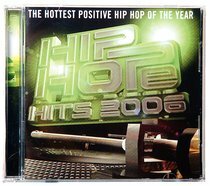 About "Hip Hope 2006 Cd/Dvd"